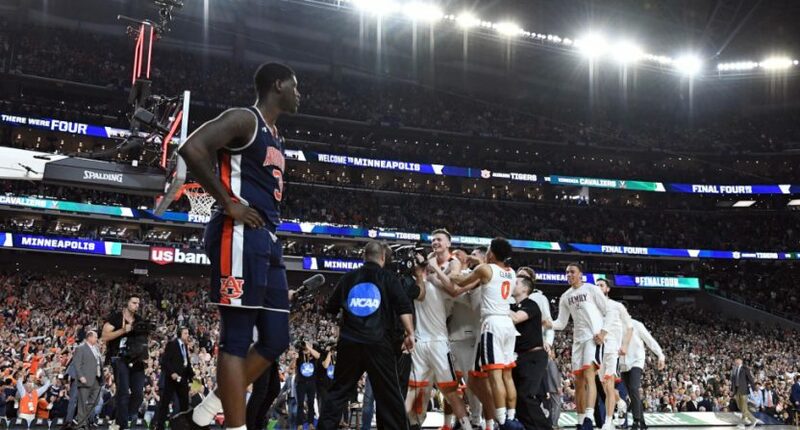 But what makes this perhaps even worse for Auburn is while there seemed to be little to disagree with with the foul that was eventually called, Steratore identified a missed double dribble call in the preceding seconds that could have given the ball back to the Tigers. That’s a rough ending for Auburn. But that school certainly knows a thing or two about being on the other end of last-second swings, too. And even earlier in this tournament, they edged New Mexico State in a similar ending, fouling a three-point shooting player while up two. That time, though, the Aggies missed two of the three free throws, and then missed again on another chance at the buzzer, letting the Tigers advance. This time around, a last-second foul wound up being much more costly for Auburn.